I’m Daniel, the Editor of Junior Skeptic. Today we’ll journey into jungles, push past tangled vines, and search for something sinister: trees that are said to eat human beings! UPLOADING YOUR BRAIN SPECIAL ISSUE: Uploading the Mind to a Computer Mind Uploading: An Argument for the Scientific and Technical Plausibility of Preserving Thoughts Indefinitely by Kenneth Hayworth; Uploading Your Mind Does Not Compute by Peter Kassan; Virtual Immortality: Why the Mind-Body Problem is Still a Problem by Robert Lawrence Kuhn SPECIAL SECTION: What Motivates Extremists? Once Upon a Time: Re-Thinking the Fight Against Extremists by Tina Dupuy; Dealing With Islamism: Trust, Costly Signaling and Forming Moral Teams by Peter Boghossian and James A. Lindsay; Apocalypse Soon? : How Emerging Technologies, Population Growth, and Global Warming Will Fuel Apocalyptic Terrorism in the Future by Phil Torres ARTICLES Paleoanthropology Wars: The Discovery of Homo naledi has Generated Considerable Controversy in this Scientific Discipline by Nathan H. Lents; Charlie Sheen’s HIV Goat Milk Doctor by Harriet Hall, M.D. ; Massachusetts: Mass Hysteria Cover Up by Robert E. Bartholomew; Agony and Ecstasy: Were Saint Paul’s Christian Beliefs a Symptom of Epileptic Personality Disorder? 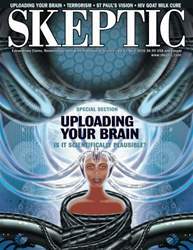 by Harry White; In Defense of Anti-Science: Why the Anti-anti-science Movement Has Gone too Far by J. Howard Siegal; The Decline of Intelligent Design: The 10th Anniversary of the Dover Decision and the Demise of Intelligent Design by Donald Prothero COLUMNS The SkepDoc: Flu Shots Facts and Fallacies by Harriet Hall, M.D. ;The Gadfly: How Accurate is the “Cycle of Abuse”? 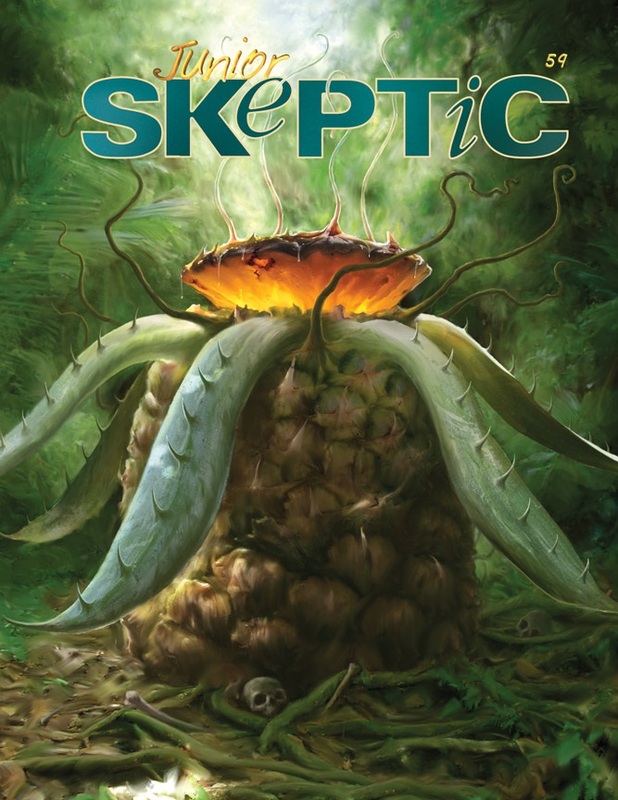 by Carol Tavris REVIEW “Sacred Cows: A Lighthearted Look at Belief and Tradition Around the World” by Seth Andrews reviewed by Donald Prothero JUNIOR SKEPTIC: Man-Eating Plants: The Cannibal Tree of Madagascar by Daniel Loxton.